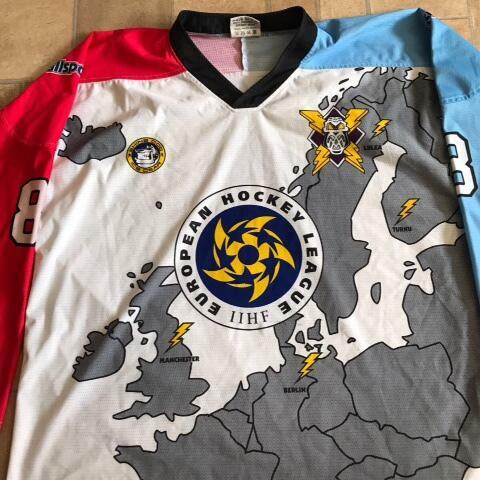 Visiting the Nynex Arena as a child, meeting Brad Rubachuk in the dressing room and still a proud owner his Manchester Storm European cup jerseys to this day... EPL veteran Ciaran Long is the most recent signing for the Elite League club, and brings over a decade of competitive playing experience. The 26 year old British forward says he's "not afraid of big hits", and openly admits he's a player the opposition fans love to hate. The Long family have a long standing connection with the British hockey community, many as players for Solihull Barons - including his uncle and his mum. Plus dad, Tom, has a rather unusual way of celebrating his son's goals...of which there were over 30 in Ciaran's last season with Basingstoke Bison. He’ll spend his off-season working as a labourer, and growing his trademark red beard back ready to make his debut in top level British ice hockey.